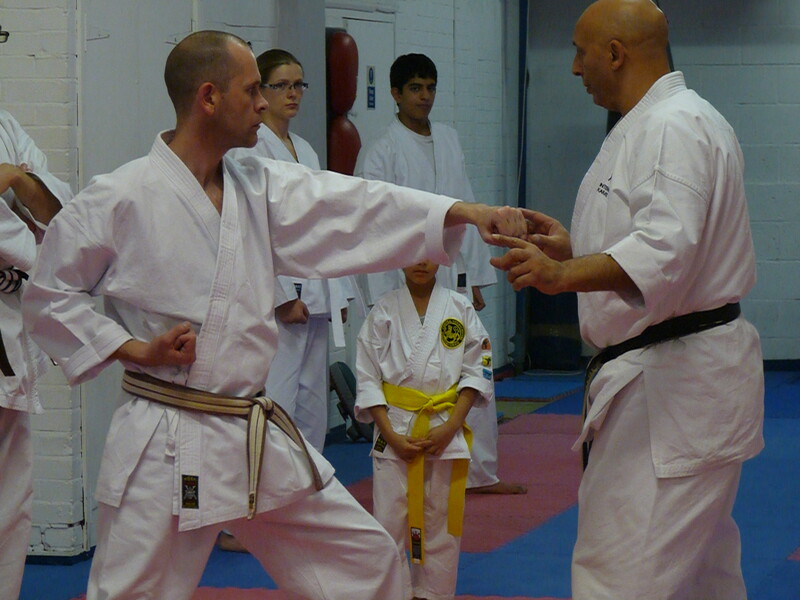 One of my first memories teaching was as a 3rd KYU. As brown belts we were given the task of taking the Sunday morning class. 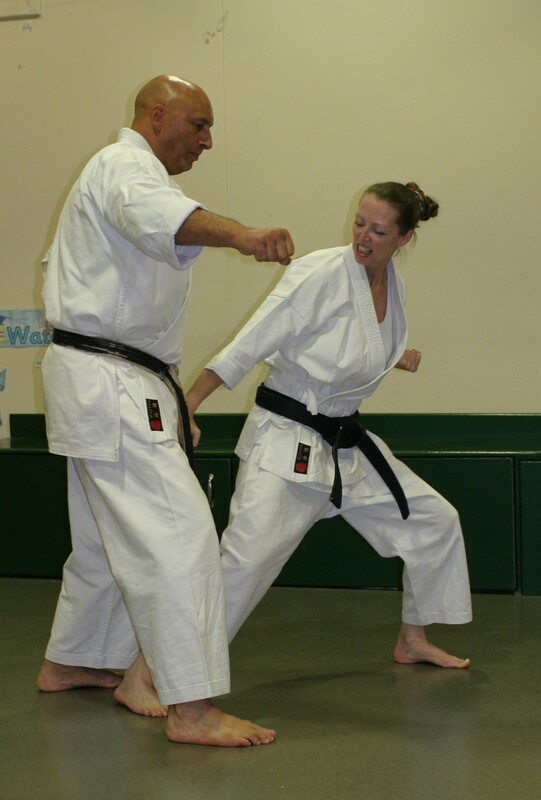 There were 8 of us 3rd and 2nd KYU’s and we would take it turns to teach. On this particular Sunday it was my turn. 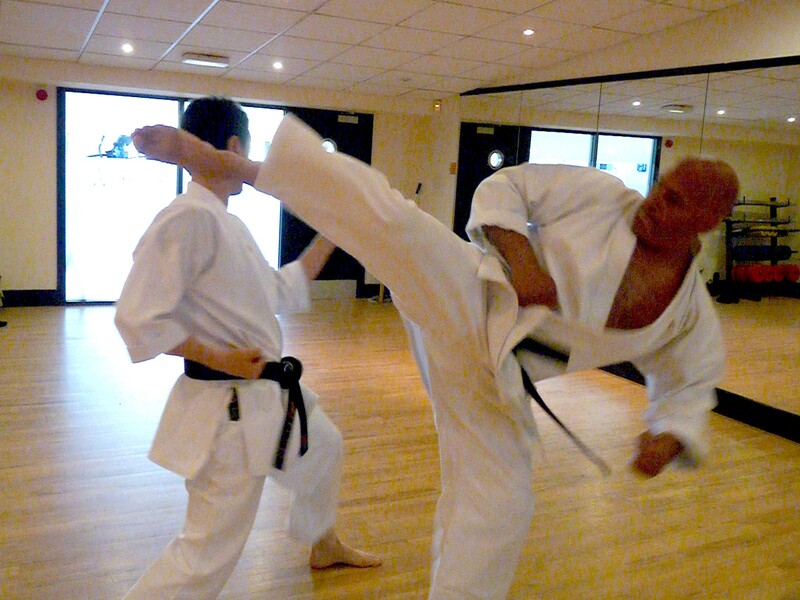 My chosen theme for the day was GYAKU TSUKI (reverse punch). 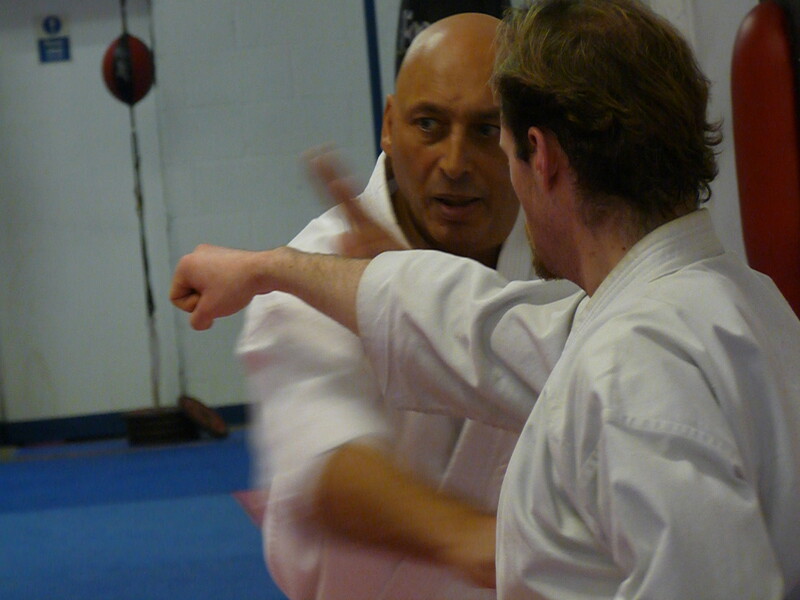 After drilling it in basics in various ways with lots of reps up and down the Dojo. This was always the order of the day, rep after rep until failure, really hard work especially after a night on the beer. Next came some partner work. I called out Joe, to demonstrate on. Joe was the same grade as me and he was a big lad of 6ft 4in, heavily built and therefore a good opponent to demonstrate with. In those days heavy body contact was the norm. So having demonstrated a simple block and counter, I turned away from Joe to talk to the class. A look on the faces of the student’s told me something wasn’t right. I turned back to Joe only to find him on his hands and knees about to keel over completely. The moral of this story is the bigger they come the faster they fall and no amount of whispering out of the corner of your mouth “Joe get up” will make up for a bad control and lack of a hard stomach.